The India-Pakistan conflict over Kashmir has lingered for six decades. Even though sides have made several efforts to resolve the issue through talks, international mediation, and by fighting three wars, there has not been any significant progress toward peace. The cost of the Kashmir conflict is always cited in terms of lives lost, and the cost of maintaining large-standing armies to ensure victory in a full-scale war. But children living at the heart of the conflict suffer the most from the effects of decades of turmoil and violence. 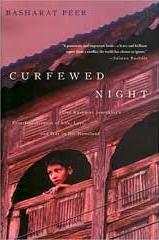 In the book, Justine Hardy recounts the ongoing Kashmir insurgency through the eyes of the Dar family, with whom Hardy has stayed for many years, while reporting on this conflict. 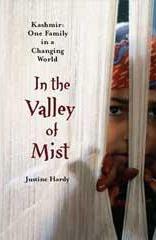 In The Valley of Mist is an extraordinary story of family survival, at the heart of a conflict within and beyond the Muslim world. Born and raised in the war-torn region, Basharat Peer brings this little-known part of the world to life in haunting, vivid detail. It is a tale of a man's love for his land, the pain of leaving home, and the joy of return—as well as a fierce and moving piece of reportage from an intrepid young journalist. Join the discussion below: What happens to culture in times of violence, particularly over many years? For children, what does it mean to grow up in a culture of violence? And what do you think are the prospects for solving the Kashmir conflict? Is a resolution possible?